Tired of experimenting with your website? Our proven success formula will replace guesswork with YOUR business-boosting strategy. A stunning looking website isn’t enough. You need a profitable strategy for customer generation. 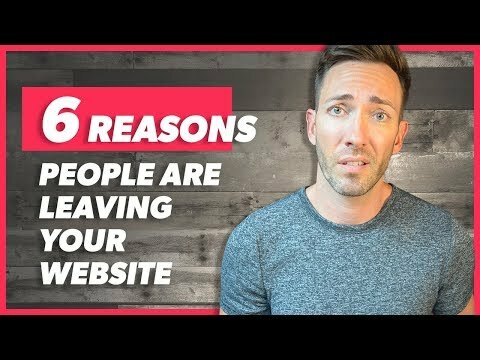 Is your website working for you or against you? If your B2B or B2C online presence isn’t attracting visitors, convincing them to stick around, and then converting them to leads, it’s not doing its job. The Deep End is a full-service website consulting, design and marketing agency with clients across the country. We’ve successfully worked with dozens of brands to help them set digital marketing goals, develop a strategic plan to achieve them, and dramatically increase revenue. If you’re planning a website revamp, this is the first step to ensure its success. We will consult with you for at least 3 meetings to uncover everything we need to know about your business, your customers, and your competition. We do a lot of research in between, too. We then turn all of that information into a strategic customized plan, with one goal — to connect your customers to your business. The plan includes suggestions for improvement, customer personas, how to attract your targeted audience to your site, and specific content recommendations designed to persuade your identified audience to take action with you once they’re there. Do you just have some specific areas of concern you’d like to discuss with our web strategist? We can look through your website and identify problem areas and offer expert advice to fix it. Or we can talk about specific pain points you’re experiencing with your site, troubleshoot your online sales funnel, or strategize about your digital marketing efforts. We offer consulting and strategy by the hour, day or half day. Your web presence can consistently bring you more business, no matter your industry. Here’s how we do it. Your website is only as successful as the planning behind it. Our expert website consultant will uncover everything we need to know about your business, your customers, and your competition. We do a lot of research in between, too. We then turn all of that information into a strategic customized plan, with one goal — to connect your customers to your business in the most meaningful way possible. Learn more about our discovery process. We start our process by examining exactly where you are right now. We’ll pop your hood, and take a close look at what’s working on your current site, and what isn’t. Our experts use Analytics to find everything from which pages are visited, how long people stay, what site they’re coming from, and more. This research lets us address what isn’t working and boost what is. Analytics are the secret to improving your site, and they are at the heart of everything we do. You know that your website has to speak directly to your best customers or clients. But that can only happen when we know exactly who they are. That’s why we work with you to take the vagueness out of the equation, and create on-paper archetypes of the people you most love doing business with. We give them names, lives, fears and hopes. And just like the people they’re based on, personas have true needs. We’ll get to the heart of their biggest objections, and what they need to know, or believe in order to win them over. Designing your website to meet the needs of your personas takes the guesswork right out of your site, making your goals that much more in reach. What are all the different touchpoints your prospects go through on the way to becoming a customer? You start with a lot of potential customers who may have heard of your product or service. A smaller part of that group may want to learn more, and a smaller part of that group may actually contact you. As the process goes on, you’re talking to fewer people who are more interested, until you end up with the chosen few who actually become customers. We can increase that number by addressing their needs at each unique stage, and delivering the exact right message at the precise right moment. We’ll research your company, your customers and your competition to create the most streamlined process to funnel your customers through all stages to the finish line. What good is a freshly optimized web presence if nobody comes to the party? After we get to know where your customers hang out online, and what motivates their choices, we can devise an airtight plan to go out and find them — and drive them right to your site. We’ll research your best options, and let you know your most profitable, and most effective path to success. In some cases, that might mean a search engine optimization campaign. In other cases, we might recommend affordable paid advertising. It all depends on where your customers are in the buyer’s journey, and where we can find the biggest bang for your advertising buck. You may have an idea about what pages your site needs to include, or maybe you don’t. In either case, we will do a lot of research on our end to discover what pages you’ll need to make your online presence as strong as possible. We’ll identify all important pages that will be most critical to converting more of your potential customers into paying customers. A website’s success isn’t measured in traffic. It’s measured in conversions. We focus on two major areas to improve conversion rates: the science of usability and the psychology of persuasion. We’ll help you define every critical element that will most effectively compel your visitors to take action with you. Communicating benefits, not just features. Overcoming objections. Providing social proof and evidence. Instilling a sense of urgency. Then, we’ll make it as ridiculously easy and frictionless as possible for them to take action, using tried and true usability best practices. They’ll want to click, and your site won’t get in their way. What do your buyers need to know, hear or beleive before they’ll be convinced to give you their business? We will identify their biggest objections, and create a content strategy that will knock each of them down, one by one — winning them over as a result. One of our expert sales-focused writers will handle the copy on your most important pages, using sound marketing principles, while writing in your brand’s unique voice. Only interested in our consulting services? We do offer website consulting as a standalone service, providing valuable insights and a customized, actionable plan for your business’ web presence to maximize conversions, leads or sales. You can then work with any web pro of your choosing, or your own in-house team to carry out our prescribed action plan. We guide our clients toward smart websites — the kind that pay for themselves over and over again. successfully persuades them to do business with you. Mission accomplished. Want to know if we’re a good fit? Learn more. Until we know what your website needs in order for it to be as successful as possible, we wouldn’t be able to tell you a plan or a price. Our first step is always a series of discovery meetings, followed by a solution presentation, which will include a very detailed price quote, as well as a time estimate for completion. However, we can provide you with ballpark pricing here. Q: We already know what we want, can you just design and code it for us? While there are many web development agencies that specialize in just this sort of project, our web consultants provide the strategy behind the design, and then the best design possible to back that up. This is the only way we can fully stand behind our websites, and guarantee their success. Q: Do you provide any other design services besides website consulting and design? Yes, we also provide branding and logo services for our web design consulting clients. In some circumstances, we will take on logo design/branding clients as a standalone service, but we usually only offer it as an add-on service. Q: Do you offer any kind of digital marketing services or search engine optimization (SEO)? Yes, this is key to the success of most web projects. 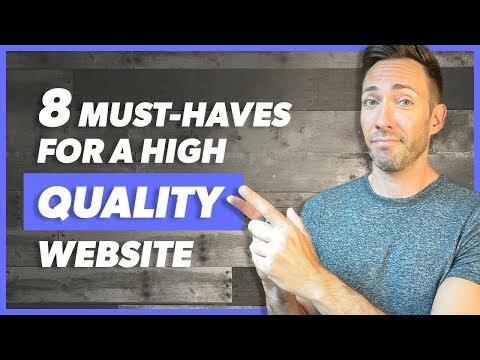 After all, you need qualified traffic to find your website in the first place before you can start converting that traffic into customers or leads. After our discovery sessions, we begin strategizing about the most effective way(s) to bring your identified customer base to your site. In many cases, this means an SEO campaign. Sometimes highly targeted Facebook ads are a better bet. Or maybe an email campaign would be best. It’s different for every business, but rest assured, our web consultants will uncover your best strategy going forward, and implement it in the most effective way possible. Q: We’re only interested in having you consult us on our website. Do you offer consulting as a standalone service? Yes! We offer a series of discovery sessions with one of our web consultants to dive deep into your business, your customers, and your current website to uncover your true needs, and offer you a strategic plan of action in the form of our Web Solution Roadmap. It will show you exactly who your customers are, what you need to do to bring them to your site, and what to include on your site to effectively persuade them to do business with you. At the Deep End, every new web consulting project begins with Discovery. You may not know exactly how web strategy and digital marketing can help you achieve your goals, but our web consultants will show you. If, that is, you let us know what your goals are. After learning everything we need to know about your business (in a surprisingly short time), we move to research, planning and strategy. We take a close look at what’s working for others—including your competitors—and pay special attention to areas where we can improve. That process will include exploring search engine optimization, search engine marketing, social media marketing, user experience improvements for your website, content changes, or some combination of all or all of these tactics. Our web consultants will prescribe our best course of action for your online business. The goal? Finding the best strategy—the one that delivers maximum results and maximum value. In other words, we don’t just do web design, or social media, or SEO—we approach every project with a whole-system view. If we do A, will it accomplish B? If the answer is no, then it’s off the table. When you agree to the plan, we’ll typically start working to make sure your website is as good as it can be. After all, it doesn’t make sense to drive traffic to a site that’s broken, that looks unappealing, or that won’t be able to deliver the results you need. Once your team and ours are happy with your site, we’ll begin to put the other pieces of the plan in action. However, we can also simply develop an online road map for your use—describing the results of our work and documenting a recommended implementation plan. Many clients go on to choose us for implementation, but if you’re interested only in our internet marketing consulting services, that’s OK too. Rest assured, though, that if you choose to work with us we won’t just sit back and watch things happen. Our dedication to measurable analytics and results means you’ll always know exactly what is—and what isn’t—working, and which next steps will be most profitable for your business. Our web consultants can help you identify the keywords your customers are using to search for businesses like yours, optimize your site for those keywords, monitor your SEO success, and make regular adjustments to your strategy. These tactics can have a real, measurable impact on your position in the search engines. We’ll help you choose which social media platforms are right for your business, give you strategies to effectively maintain your online presence, and show you how to make the most of your efforts. We can design a paid search strategy to help you manage your ad costs, test your headlines and ad copy, and optimize the landing pages to which you’re driving traffic. The result? Online marketing success. To bring customers to your site, we can help you create and publish content that your potential customers want and need. You’ll see more traffic, more leads and more sales. With a team of writers and content strategists at our beck and call, we can help you create content on autopilot. Looking for a steady stream of content that reflects your brand and accomplishes your goals? We can help. 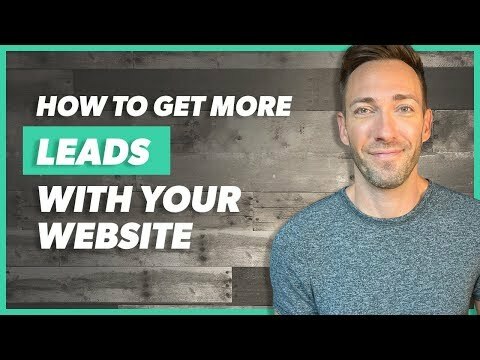 Is your website giving you the results you want? The sales you need? If not, we can help. Good design, based on solid UX principles, makes it easier for your visitors to accomplish what they came to your site to do. That, in turn, will make it easier for them to do business with you. What’s your most important goal—attract more visitors, convince more of them to start a relationship with you, or turn more of them into leads? The Deep End offers the strategy, design and execution you’ll need to make all three a reality. Yes, we are web consultants, strategists, designers and developers. But we also focus on internet marketing tactics that will bring customers to your site. Our web consultants will make sure you get a beautiful website… The lead-generation engine that will lay the foundation for success… And the strategies and tactics that will ensure your business stands out from the pack. That’s what it’s like to work in The Deep End.